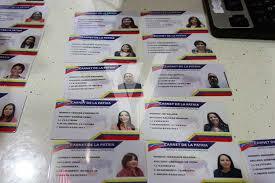 When compliance officers at international banks are onboarding Venezuelan nationals as new accounts, you may be offered, as official government identification, Bolivarian Venezuela's Carnet de la Patria, (Fatherland Card in English) as supplemental proof of identity. Do not accept this document as sufficient proof of identity. for any reason, for it has a dark purpose, and you do not want to assist in establishing its bona fides. 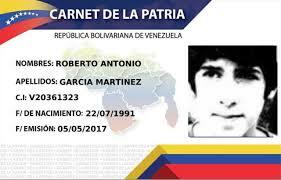 The Carnet de la Patria, while purported to be an government-issued photo ID, is actually a smart card issued by the tech giant ZTE, which is owned and controlled by the Peoples' Republic of China. It actually assists the Venezuelan government in tracking the holder's social, political and economic behavior, and is patterned after a similar card that China uses to completely control and monitor its citizens, in a reality far more sinister than George Orwell ever created in his classic book, 1984. 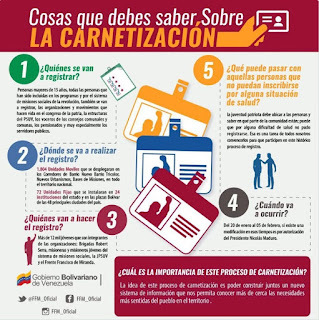 The Carnet has become a necessary evil in Venezuela; required if an individual wishes to receive subsidized food, social and other government benefits. It contains information regarding the holder's political affiliation, voting history, and detailed personal data. It has become a necessary evil, and currently over one half of the population has been, more or less, forced into acquiring one. It is, frankly, a tool to identify regime supporters, and Opposition members, and allows the Government of Venezuela to favor its supporters, and punish those who oppose the present authoritarian government. It is suggested that you do not accept Carnets as valid government identification, as the source of personal information that ZTE using to create the card is unknown, and therefore the data may include an alias, and not the correct legal name of the holder. 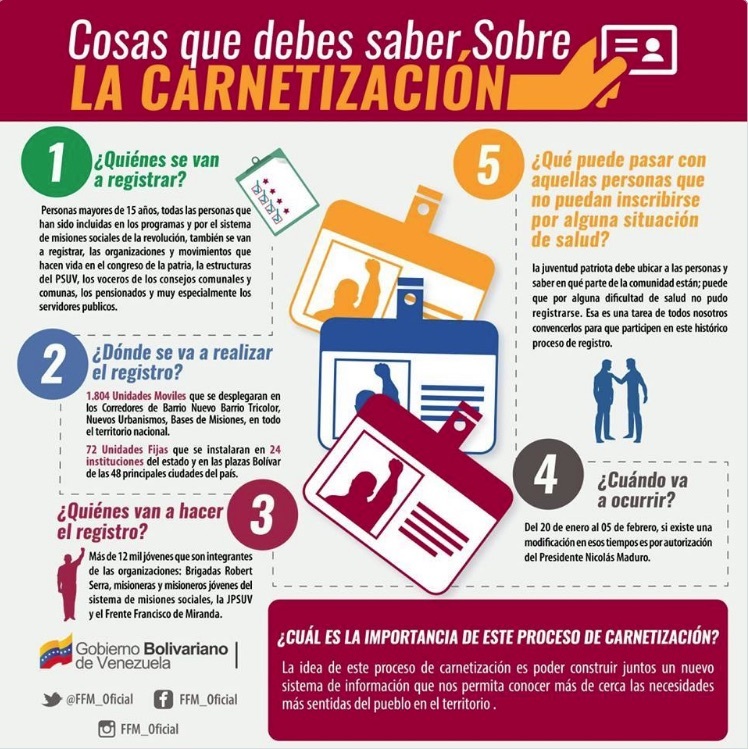 Additionally, given the true purpose of the Carnet, to replace the Cédula, the national identity card, with a document that allows the regime to monitor* every aspect of the holder's life, we do not want to help establish it as an acceptable form of international identification. China's plan to export its total control of its citizens system to other countries is to be discouraged, as it is a major human rights violation, and inimical to democracy. * It is not known what effect scanning in the Carnet image does to a computer system, if any, but there may be risk of infection or intrusion.